1. Chicago's Battery Boys: The Chicago Mercantile Battery in the Civil War's Western Theater by Richard Brady Williams (Savas Beatie, 2008). This is a softcover revised edition of the 2005 hardcover. A brief glance through it certainly gives me the impression that the positive reviews are deserved. I think readers interested in the western and Trans-Mississippi theaters (like me) will delight in the amount of information provided. 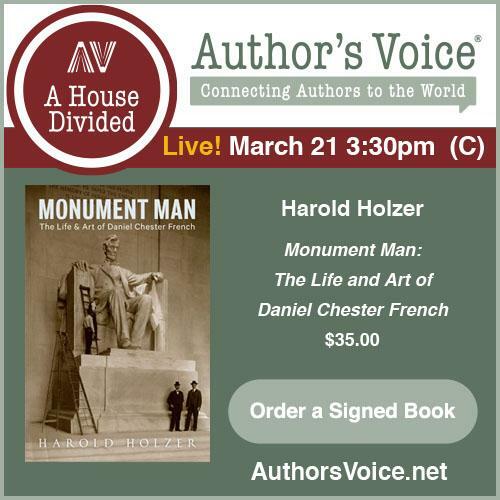 The author also has a website, Civil War Legacy. 2. Thunder in the Hills: Military Operations in Jefferson County, West Virginia, During the American Civil War by Stephen D. Engle (Mountain State Press, 1989). Jefferson County is located along the extreme NE border of West Virginia, and Engle's book is a pretty thorough summary (with numerous, albeit primitively drawn, maps) of the skirmishes and battles that occurred there from 1861-1865. Some time ago, Engle mentioned to me the possibility of a reprint of this rather scarce study. Nelson County: A Portrait of the Civil War by Dixie Hibbs [Arcadia Publishing, 1999] employs an unusual but workable content format. Instead of a conventional narrative, Hibbs's study is largely composed of a sequence of dated text entries, many of which serve as image captions. While not footnoted, these snippets of information are chronologically arranged, with some quite extensive in length and drawing their content from a variety of published and unpublished primary and secondary source materials. A bibliography is included but no index. The images consist of period and modern photographs, maps of various scale [some of the town maps depict camp and fortification locations], newspaper scraps, sketches, and lithographs. It's an informative and attractive visual record of the people, places, and events of a Kentucky county during the years spanning 1860-1865. 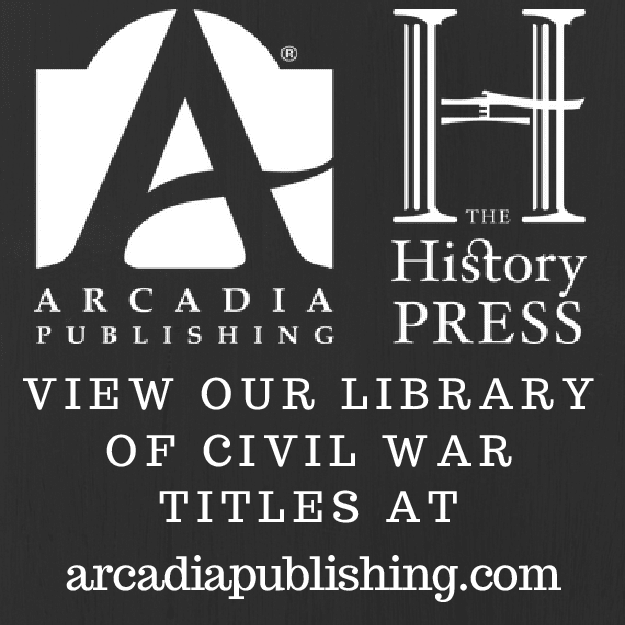 I wouldn't mind seeing more of these from the publisher, but this particular book, still in print but ten years old already, remains a unique part of Arcadia's Civil War History series. Widney / ed. Girardi: "Campaigning with "Uncle Billy": The Civil War Memoirs of Sgt. Lyman S. Widney 34th Illinois Volunteer Infantry"
The 34th Illinois entered service at Camp Butler (Springfield, Illinois) on September 1861. It's first experience with combat occurred during Shiloh's second day. From then on, the regiment fought in most of the western theater's major campaigns, including Perryville, the Corinth "siege", Murfreesboro, Chattanooga/East Tennessee, Atlanta, March to the Sea, and the Carolinas campaign. Robert Girardi's Campaigning with 'Uncle Billy' marks the first complete edited and annotated publication of Sergeant Lyman Widney's impressive memoir of his service with the 34th. Peter Cozzens's Foreword and Girardi's introduction together do a fine job of explaining the importance of Widney's writing to the Civil War literature, as well as the story behind its initial publication (as a National Tribune2 serial). Sergeant Widney spent most of the war at regimental headquarters, and thus was able to provide a broader perspective than that found in the typical private soldier or NCO reminiscence. Organized in diary style format, the memoir is rich enough to serve as both a recounting of personal experiences as well as a useful account of the regiment's service as a whole. For his editorial work, Girardi consulted a range of source materials (e.g. manuscripts, official documents, regimental histories, books, articles). His book has footnotes and an index, but the rest of the presentation is pretty bare bones. Only a single illustration3 was included and no maps. The material quality is also that of the typical subsidy press. Presentation quibbles aside, Campaigning with 'Uncle Billy' is a finely edited publication that does justice to an important western theater memoir. Mr. Girardi deserves our thanks for making Widney's writings available in a single volume for use by readers and researchers. 1 - This is a lengthy article Widney wrote for the August 1913 issue of Neale's Monthly. It is basically a compilation of anecdotes and opinions about William T. Sherman. 2 - Cozzens notes that the National Tribune actively sought opposing or corrective views to the serialized accounts published. Unusually, none were submitted that challenged the veracity of Widney's writings. 3 - According to the author, no known photograph of Sgt. Widney exists. 1. The Prairie Was on Fire: Eyewitness Accounts of the Civil War in the Indian Territory by Whit Edwards (Oklahoma Historical Society, 2001). I posted a short review of this work in 2007 (follow above link), but wanted to get my own copy before it went out of print. 2. The Shenandoah Valley Campaign of 1864 ed. by Gary W. Gallagher (Univ. of N. Carolina Press, 2009). Softcover reprint of the 2006 hardcover edition. 3. The Southern Strategy: Britain's Conquest of South Carolina and Georgia, 1775-1780 by David K. Wilson (Univ. of South Carolina Press, 2008). I like the look of this book -- extraordinary maps and OBs. I thought it might be interesting to compare the approach the British took during the Revolutionary War when they captured Charleston and the failed U.S. strategies attempted during the Civil War. Of course, given the technological differences between eras, the usefulness of any conclusions is questionable. This new edition, published last year, is a paperback reprint of the 2005 hardcover. Glenn Dedmondt is the author of flag studies for the Confederate states of North Carolina, South Carolina, and Alabama, but his latest book The Flags Of Civil War Arkansas is my first exposure to his work. Vexillology is not a subject I've studied at any great depth so I'll confine myself to a descriptive review of the book. In terms of the book's general organization, the individual flags are presented under pattern headings. A brief narrative (anywhere from several paragraphs to several pages) is devoted to each flag and the unit carrying it. While the general background material often exhibits a decidedly ideological slant1, the rest of the text is annotated. The footnotes indicate a variety of source materials consulted, with the unit histories drawn largely from O.R. reports and Stewart Sifakis's Arkansas unit reference guide. Where possible, the circumstances of the construction and presentation of each flag is detailed. The most striking feature of the book is its color flag artwork and photography, the presentation of which is enhanced by nice quality glossy paper. Dedmondt has carefully measured many of the surviving flags in person, meticulously recording the size and relative placement of numerous features. While a few artillery unit and naval flags were included, the vast majority are infantry and cavalry emblems -- company, regimental, and national. The variety of flag patterns used by Arkansas units is immediately apparent. The first national and the St. Andrew's cross designs were common, but there were a number of individual patterns, as well. Others were designed by a high ranking officer and distributed to subordinate units. The Van Dorn flag [a crescent and scattered stars over a solid red field] is a remarkable design, and was issued to the units of the Army of the West. The most recognizable "Bonnie Blue" flags of William J. Hardee's corps (and, most famously, Patrick Cleburne's division) had a white "full moon" over a solid blue field, but John P. McCown's division employed a variant, a white St. Andrew's cross over the blue field. Confederate Arkansans2 fought in all three main theaters under a variety of banners, and The Flags Of Civil War Arkansas is an attractively presented (and very affordably priced) visual and text record of those fighting emblems. 1 - Ex. (pg. 12) "...the U.S. ship Star of the West had illegally entered the harbor intending to resupply Major Anderson at Fort Sumter,..."
2 - The Union army's Arkansas regiments and flags are not covered here. It appears the author's next volume The Flags of Civil War Missouri is similarly exclusive. Regardless, I'll be especially interested in it's collection of State Guard flags. It was my original intention to have more Mexican War content on the blog, but I've never gotten around to it. This is just a short list of my favorites, and a few others from the 'to read' pile. 1. So Far from God: The U.S. War With Mexico, 1846-1848 by John S.D. Eisenhower. Jack Bauer's The Mexican War, 1846-1848 is another solid candidate for a standard midsized military overview. 2. Climax at Buena Vista: The Decisive Battle of the Mexican-American War by David Lavender. This a fairly dated account, but still a good single volume history of the U.S. army's northern campaign (Palo Alto, Monterrey, and Buena Vista). 3. On the Prairie of Palo Alto: Historical Archaeology of the U.S.-Mexican War Battlefield by Charles M. Haecker. New perspectives on the battle based on the modern field work. 4. The United States and Mexico at War: Nineteenth-Century Expansionism and Conflict by Donald S. Frazier. A nice, big, expensive, and out-of-print reference book that is worth getting if you can find it for a decent price. 5. Doniphan's Epic March: The 1st Missouri Volunteers in the Mexican War by John G. Dawson. Very good modern history of Doniphan's famous southwest expedition, with nice accounts of the battles of El Brazito and Sacramento. 6. California Conquered: The Annexation of a Mexican Province, 1846-1850 by Neal Harlow. This is the best scholarly account that I've come across. 7. A Gallant Little Army: The Mexico City Campaign by Timothy D. Johnson. Nothing better has been written about Scott's famous campaign. 8. History May Be Searched in Vain: A Military History of the Mormon Battalion by Sherman L. Fleek. 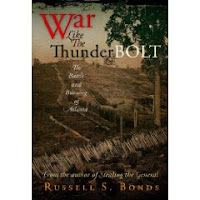 The Norma Ricketts book The Mormon Battalion: U.S. Army of the West, 1846-1848 is another modern unit history, but with a more bottom up structure and mixed reviews. 9. Wars Within War: Mexican Guerrillas, Domestic Elites, And The United States Of America, 1846-1848 by Irving W. Levinson and 10. A Glorious Defeat: Mexico and Its War with the United States by Timothy J. Henderson. I haven't read either, but I thought I would include a couple decently regarded books that engage the Mexican perspective. Parrish: "Wiregrass To Appomattox: The Untold Story of the 50th Georgia Infantry Regiment, CSA"
Like many Georgia infantry regiments raised in the spring of 1862, the 50th spent a brief period on the Atlantic seaboard before being sent to Lee's army in Virginia. Initially assigned to Thomas F. Drayton's brigade of Longstreet's Corps, the Georgians later fought in most of the Army of Northern Virginia's battles, including 2nd Bull Run, Fox's Gap, Antietam, Fredericksburg, Chancellorsville, Gettysburg, the East Tennessee Campaign, the Overland Campaign, Cedar Creek, and Sailor's Creek. 1,400 served in all, but, by the time of the Appomattox surrender, only a handful of stalwarts [31!] remained to receive their paroles. James W. Parrish's Wiregrass To Appomattox is an impressive product of a decade of exhaustive research on the part of the author. The results of his manuscript findings are sprinkled throughout his text, often in the form of full reproductions of letters and other primary accounts. In many works, this practice fails to engage the reader (turning it into a simple source compilation), but Parrish avoids the pitfall with his own strong narrative, providing more than sufficient background and context. It's also great to learn (from the Acknowledgments section) that the author submitted relevant portions of his manuscript for review by a large number of expert readers. In keeping with the work's military focus, a detailed demographic analysis of the rank and file is absent. In terms of illustrations, author and publisher went far beyond the norm. Over 100 photographs greet the reader, either as extensively captioned CDVs or modern images of the various battlefield locations fought over or traversed by the 50th Georgia. Twenty-eight in all, the maps are relatively spare in terms of terrain detail, but they tend to highlight well the position(s) of the regiment on each battlefield. This service is not often provided to the reader of regimental histories, and is much appreciated here. An array of appendices supplementing the main text. This includes a moderately detailed regimental roster. Casualty breakdowns by company are present here, as well as an Appomattox parole list, and flag discussion. Finally, grave site enthusiasts will appreciate the extensive photo gallery of headstones with text commentary. An obvious labor of love by a descendant of two men who served in regiment, Wiregrass To Appomattox is an impressively researched, detail oriented, and comprehensive military history of the 50th Georgia's distinguished Civil War service. Highly recommended. Last year, I reviewed another Angle Valley Press title, Southerners at Rest: Confederate Dead at Hollywood Cemetery, and back in 2006 I interviewed author and AVP publisher John Fox [part 1, part 2] about his award-winning regimental history of the 35th Georgia, Red Clay to Richmond. Ash: "Firebrand of Liberty: The Story of Two Black Regiments that Changed the Course of the Civil War"
In addition to being a unit study, Stephen Ash's Firebrand of Liberty is the first book length history of the U.S.'s March 1863 expedition up Florida's St. Johns River. Transported and supported by the navy, a pair of black regiments (expedition commander Thomas Wentworth Higginson's 1st South Carolina and two companies of James Montgomery's 2nd South Carolina) occupied and fortified Jacksonville. Later movements reached as far upriver as Palatka. An important goal of the campaign was to strike at slavery in the region and recruit large numbers of black soldiers. With few soldiers of their own in the region, Confederate resistance was slight, but, with many slaves refugeed inland, the number of men, women, and children liberated by Union forces was disappointing [one hundred, all told]. Later reinforced by the 6th Connecticut and 8th Maine, Higginson was able to completely secure his Jacksonville base, and was planning to strike inland just as a recall order was issued by the department commander. Ash writes historical narrative with considerable flair, but the accessible style does nothing to hinder the author's construction of a detailed campaign history that should satisfy the demands of serious students. The research is very solid, and the author wishes the reader to recognize that the operation was conducted during a period of uncertain northern attitudes toward the widespread recruitment and combat use of black regiments. 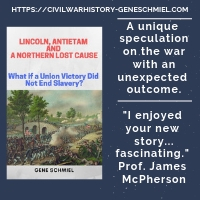 However, Ash's larger contention that the campaign "changed the course of the Civil War" is speculative, as no direct documentary link exists between the positive reports of the operation and the Lincoln administration's decision to ramp up the organization of black units. The author clarifies his interpretation of the circumstantial evidence in the book's appendix, but, while it's likely the Jacksonville operation contributed to the decision, it remains unclear if its impact was decisive*. Another point of emphasis is the "hard war" aspect of the campaign, with the insertion of race into the equation. Prior to the Jacksonville operation, Higginson and the 1st burned the town of St. Marys. As the army advanced up the St. Johns River, plantations were frequently looted and burned (Montgomery's 2nd was especially enthusiastic). Additionally, perhaps a third of Jacksonville was burned when the Union forces withdrew, although Ash blames Maine soldiers for most of the damage. Predictably, northern public opinion was especially divided over such destruction being issued at the hands of black soldiers. Radical Republicans generally applauded, but many conservative Democrats were angry and dismayed at the prospect of white civilians being harassed or rendered destitute by the actions of these units. While the confining of his study to the Union viewpoint limits its overall perspective, Stephen Ash has nevertheless crafted an original military study and unit history. Beyond the need for more and better maps, there's little to complain about. Ash's linking of the campaign to a transitional period in Union military policy is also instructive, if a bit overstated. Recommended. * - The Jacksonville/St. John's River expedition was in March 1863. At this point, black regiments had already demonstrated combat prowess [the 1st Kansas Colored at Island Mound, Missouri in October 1862] and discipline in non-combat roles [the Native Guards units] in SE Louisiana from late 1862 to early 1863. 1. The 14th South Carolina Infantry Regiment, of the Gregg- McGowan Brigade, Army of Northern Virginia by Robert K. Krick (Broadfoot Pub. Co., 2009). The first four volumes of the South Carolina regimental roster series (patterned after the venerable H.E. Howard Virginia series) have been released, with three more scheduled for publication this winter. Brett S. is reviewing all four this month on TOCWOC. This particular volume contains a brief unit history penned by Krick plus a detailed roster of 1,560 names. 2. Rebel Storehouse: Florida in the Confederate Economy by Robert A. Taylor (Univ. of Alabama Press, 1995). I am late in picking up a personal copy, but this book has established a solid reputation as an essential part of the Civil War Florida library. It was reprinted in 2003 in paperback format by Alabama's imprint Fire Ant Books. 3. General M. Jeff Thompson's Letter Book, July 1861-June 1862 transcribed by James E. McGhee (Two Trails Publishing, 2004). I'm not sure where this one is obtainable anymore. It's out of print, and I think I picked up Camp Pope's last copy. Rafuse: "Antietam, South Mountain, & Harpers Ferry: A Battlefield Guide"
I've often expressed my admiration for Nebraska's This Hallowed Ground series of Civil War battlefield guides, and this latest volume by Ethan Rafuse continues the series's tradition of consistent quality in information and presentation. One of the reasons behind this continuity is the structure. The major tour stops [14 for Antietam, 5 for South Mountain, and 2 for Harpers Ferry] are further subdivided into 2-3 additional locations, all effectively organized into the following subsections: Directions, Orientation, What Happened, Analysis, and an optional Vignette. From these, the reader gets valuable insight into historical questions of what, where, when, and why as well as a quick and easy means of navigating the modern landscape. One of the great improvements in the current crop of battlefield guides is with the cartography. The Antietam campaign maps (by Christopher L. Brest) are numerous and represent well the unit movements and the topography of the battlefields. Elevation contours and other relevant terrain features (e.g. woods, fields, streams, buildings, fences, roads, and trails) are featured. In depicting combat, unit scale is at a mix of brigade and regimental level. Rafuse's up-to-date content is detailed enough for readers of all backgrounds, and the coverage for each battlefield is fully comprehensive yet concise enough to allow the tour to be completed in a single day. Side tours are included for those with additional time. Extras include a campaign order of battle and a Civil War organization, weapons, and tactics primer. A source/suggested reading list, with some commentary, is provided, as well. I would recommend this volume as the best general use touring guide for this campaign. Thomas and Wilson: "Soldier Life—Many Must Fall: Two Civil War Narratives"
This publication is essentially two books in one, together they shed personal light on the Civil War service of the 14th Iowa (Company G), which saw action in the western and Trans-Mississippi theaters. The writings of the two main authors, in conjunction with a variety of letters and accounts written by other Co. G mates, cover military events in Tennessee (Ft. Donelson, Shiloh), Mississippi (Oxford Raid), Louisiana (Pleasant Hill), and Missouri (Price Raid), as well as the experience of being a POW and paroled soldier. Soldier Life, penned later in life by Benjamin Franklin Thomas (first published in 1907), is a reproduction of the author's Civil War diary, spiced with his reminiscences. The editors altered the text (e.x. corrected spelling, replaced abbreviated text, etc.) and added footnotes. The notes, mostly detailed biographical sketches of individuals mentioned in the text, are bundled together at the end of each section, but curiously not arranged in numbered citation format. They are of both research and genealogical value. A sampling of Thomas's poetry was also inserted. Many Must Fall is the letter collection of Sgt. Peter Wilson (spanning 1861-1865, and previously published piecemeal by the Iowa Journal of History and Politics during the 1940s). The earlier annotation is preserved, with new commentary from the current editors. The Wilson letters (mostly addressed to immediate family) are supplemented with other letters, memoirs, and newspaper accounts written by members of his unit. Between the narratives is a photo gallery and two maps. Soldier Life - Many Must Fall is a valuable compilation of primary source materials for Civil War researchers and genealogists. The Traer Historical Museum Board (editors) and the Camp Pope Bookshop (publisher) deserve our thanks for bringing back into print the personal experiences of the "Wolf Creek Rangers" of Company G, 14th Iowa, all in a single, well produced volume. $30.00 plus $5.00 postage (Iowa residents add $1.80 sales tax). The next Q & A will be with Dave Roth, editor and publisher of Blue & Gray Magazine. Brett Schulte will be reviewing the first batch of four on TOCWOC this month, and will also interview the publisher, Tom Broadfoot. In fact, Brett's Hampton Legion review is already up. Unit histories often lead readers around blindly amid a constant parade of obscure geographical locations. These simple yet attractive and useful creations by a gentleman named Bob Barker for the 3rd Ohio Volunteer Cavalry make me wish every regimental history could include such visual aids. Imagine if this could be done for every regiment and compiled into a single interactive database. Craig over at To the Sound of the Guns is posting a series (he's up to part eight, go here to start at the beginning) detailing the earthwork defenses of Leesburg, Virginia. One of its more interesting aspects are the drawings from Documentation of Eight Civil War Forts and Earthworks in the Vicinity of Leesburg, Virginia (Joseph Balicki and Walton Owen II, John Milner Associates, 2002). Historical/archeological/site management consulting monographs frequently yield interesting and unique tidbits of history, often accompanied by historical maps and precisely drawn original creations such as the ones reproduced in the post series mentioned above. Andrew Duppstadt mentioned a new blog and ongoing book project by a fellow North Carolinian, Eric Lindblade, whose current research centers around the 1864 Battle of Newport Barracks even though he's stuck living in an obscure Pennsylvanian town. I stumbled upon the LSU Electronic Thesis and Dissertation Initiative by accident. An online search turned up a .pdf file of a master's thesis titled "Trans-Mississippi Southerners in the Union Army, 1862-1865" and it led me to the library webpage. This particular kind of free unrestricted access project for academic scholarship -- as opposed to a subscription medium like what JSTOR does for journals -- is news to me [at least the small sample I viewed was freely available]. Then again, maybe I am behind the times and many schools already do this. Egnal: "Clash of Extremes: The Economic Origins of the Civil War"
The relative importance of the various factors put forth as major causes of the Civil War is a source of endless debate among scholars and enthusiasts alike, and a fair number of books are published each year promoting one idea or another. Not surprisingly, some of these works are the product of modern ideological agendas, with economics being a common offender. Thankfully, any fears about the standing of Marc Egnal's contribution to the discussion are quickly proved baseless. Clash of Extremes is a well documented and skillfully developed advancement of the idea that rapidly changing and competing economic realities comprised the primary driving forces behind the movement toward secession and ultimately Civil War. At the same time, it's surely fair to say that the last thing Egnal would want his readers to take away from this book is any notion that slavery had little or nothing to do with the Civil War. The role of the peculiar institution and the North's growing opposition to its spread are far from minimized in the author's analysis; indeed, they are deeply intertwined with Egnal's primary argument that evolving sectional economies created the climate that would lead to war. The author traces how, by the mid-1850s, the rapidly expanding Great Lakes economy led to a fundamental and permanent transformation from a sectionally beneficial north-south arrangement to a cheaper and more efficient east-west system of railroads and canals. The transformation forged closer trade and political ties between the upper midwest and the New England states. This rather radical reorientation, in combination with a more assertive national Abolitionist movement and soil exhaustion in the Deep South, fed the feeling of isolation within those agrarian states with the highest slave populations and enhanced southern fears of the end of their social and economic system. The burgeoning Great Lakes economy also demanded of its general government the internal improvements necessary for its new national prominence. The question was what political party would be able to take advantage of this new direction. The old national parties (Democrats and Whigs) failed, with the Democrats imploding over the aftermath of the Kansas-Nebraska Act and the Whigs crumbling at a rate few could have predicted at the time1. Into the vacuum stepped the Republican Party, with its anti-slavery stance and strong support for protective trade policies and internal improvements. Unfortunately for the country as a whole, its power base was exclusively northern2. The new level of extremism in both sections made compromise impossible. Egnal also expands his economic outlook into Reconstruction and beyond. In a fascinating chapter, he outlines the Republican party's abandonment of its black civil rights agenda in the South in favor of (re-)devoting itself to economic interests, namely the focused expansion of industry in the North. The author's argument that this movement was less of a change in principle and more of a reassertion of the original party platform grounded in economics is largely persuasive. The whole idea raises an interesting what-if question as to what role former president Lincoln would have played, or could have played, in the critical years following the Civil War in managing the ideological direction of the Republican Party. Lincoln was above all a politician, and, released from the incredible political pressures surrounding the priority of winning a Civil War, would it have been the post-war years that truly would have seen the "real" Lincoln? So, where does this all take us? We still have a Deep South seceding over fears attached to the national election of a purely sectional party openly hostile to slavery (or, more realistically, slavery's spread). I think Egnal would counter that it was the fundamental economic realignment of the 1850s that created the radical political environment to begin with -- the death of national parties that would serve the self-interest of northern and southern men, and the rise of sectional extremism on both sides of the Mason-Dixon line. In doing so, however, the author rather understates the radicalizing political fallout from the "Bleeding Kansas" events of the same period, but his overall point is well taken. Clash of Extremes is a product of original research and analysis, as well as able synthesis of the secondary literature. Egnal's thesis lending causative primacy to economic factors is a well supported one. His narrative is also abundantly supported by well rendered maps and tables. The thesis presentation additionally avoids the common pitfall of narrowing its economic focus so much that it cannot accommodate other important factors. Similarly, the generalities presented to the reader uniformly have qualifiers attached, a practice indicative of a thoughtful anticipation of notable exceptions and counter arguments to the point made. Egnal's dispassionate scholarship is a welcome breath of fresh air in an economic discussion all too often characterized by its absence. His accessible study is an award worthy effort that is highly recommended. 1 - Egnal's explanation of the mid-1850s demise of the Whigs is interesting. Dissatisfied with finding a home in an established party, Free Soilers and anti-slavery Democrats wanted a fresh start with a new party. Northern Whigs themselves were divided between those with traditional economic ties with the South and lake district Whigs more committed to anti-slavery policies and deeply concerned with the internal improvements they believed their newly prominent region was owed. The author's assertion that the Know Nothings were far more an anti-slavery than anti-immigrant party is also persuasive. 2 - According to Egnal, the Democratic and Whig parties had kept extremism in check by emphasizing class differences over sectional ones. Prosperous farmers, professionals, and merchants -- North and South -- were attracted to the Whig principles of protective tariffs and government support for transportation, schools, and banks. Louisiana's sugar plantation owners were particular supporters of trade protection. Small farmers and the urban working class were less directly involved in industrial expansion and the market economy. They comprised the bedrock of the Democratic opposition.